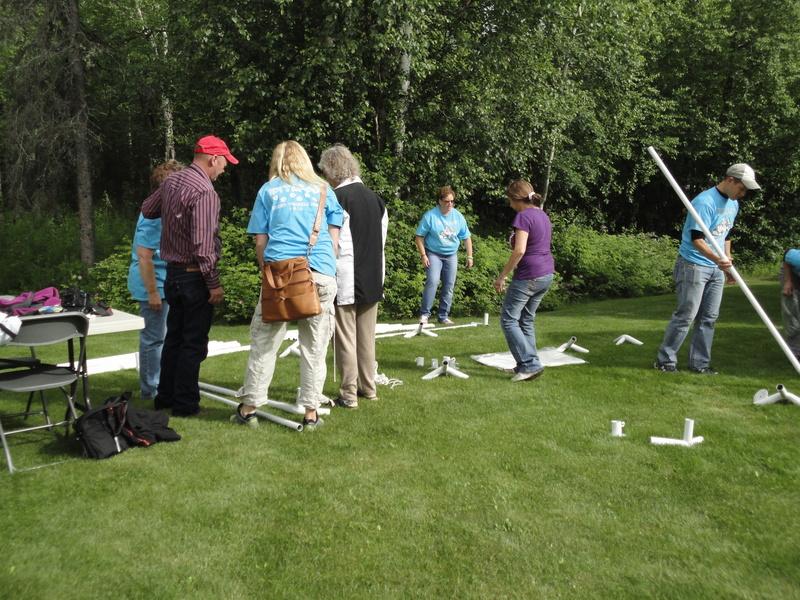 After a week of collaboration, speakers, new experiences and new friendships, teachers from the the Iditarod Summer Camp for Teachers headed for the Volunteer Picnic and Musher Sign-Up at Iditarod Headquarters. We started the picnic doing what we do best – problem solving. 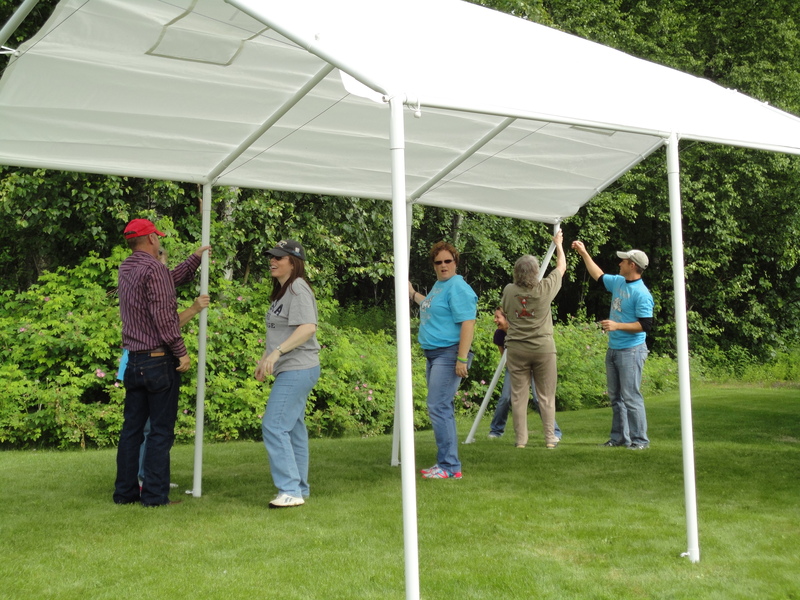 A bundled tent was put down and teachers worked together to put it up. Success! 54 mushers signed up on this sunny Saturday, and most of them were at the picnic including our new friends Aliy Zirkle and Allen Moore. There were also past mushers there who were not signing up, but were making connections and visiting with old friends. What a treat for teachers who have been learning about the Iditarod and how dogs, mushers and volunteers help to make the race run. We were able to interact with mushers who we have been teaching about in our classrooms in the Lower 48. 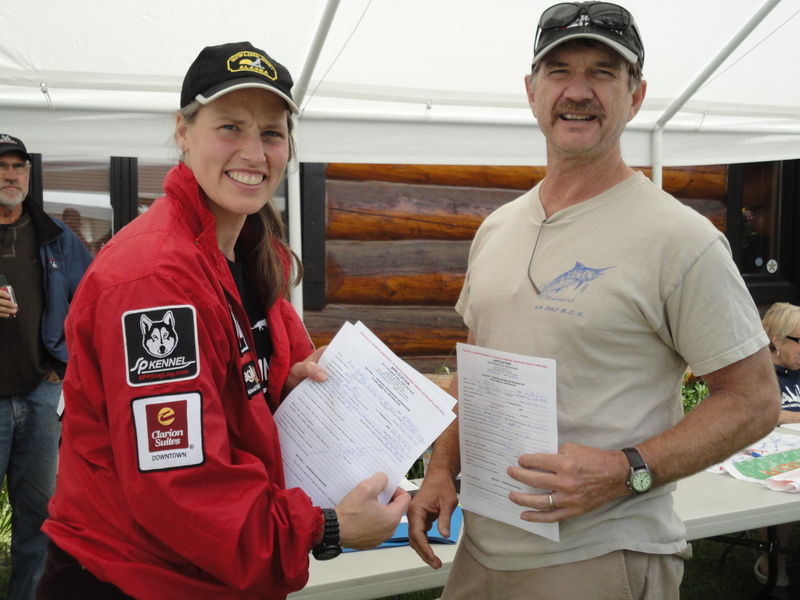 Experiences like this will help us bring the Iditarod adventure alive for our students. For me personally, the official duffel bag with all its contents was passed from Blynne Froke. 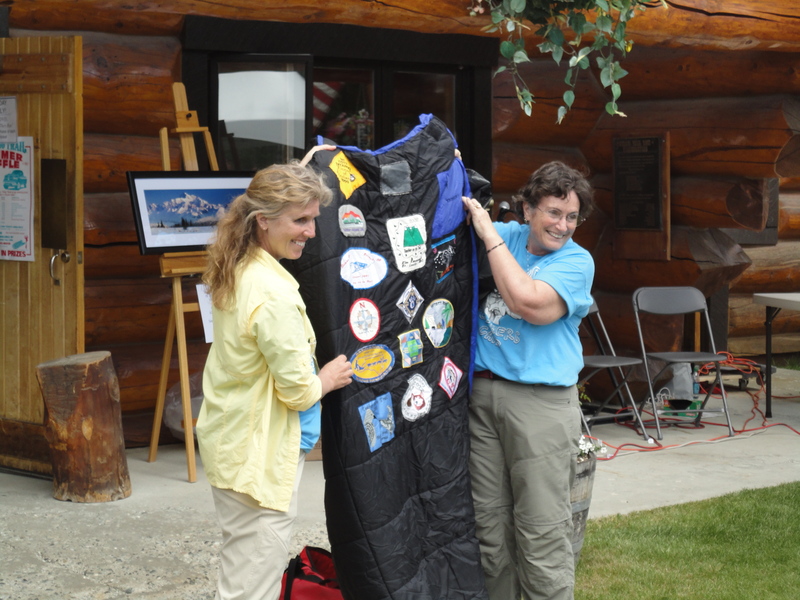 Being the 2013 Iditarod Teacher on the Trail opens an enormous door for me and I look forward to working with teachers from around the world to help make the Iditarod a great teaching tool for the classroom.